Once again this wonderful publication by Susan Schaefer has come through for tapestry. In their latest issue Summer 2009 on page 17 they have written about Christine Rivers and myself being selected for the ATA Connections: Small Format International exhibition. Contact information for this magazine is: www.islandartsmag.ca . 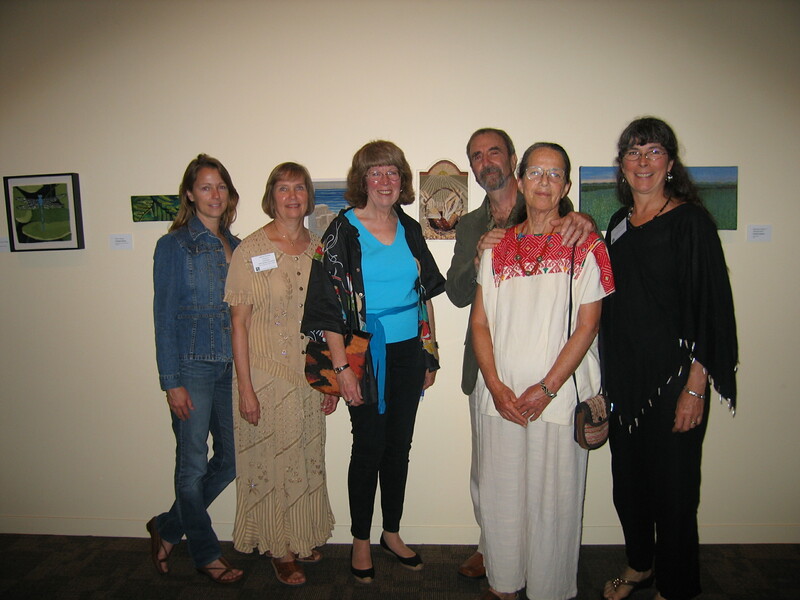 On May 10, 2009 I attended the opening of Connections: Small Format International in San Jose, CA at the San Jose Museum of Quilts and Textiles. Christine Rivers and I flew down and stayed with our good friends and teachers, Yael Lurie and Jean Pierre Larochette in Berkeley. This is the first juried biennial small format exhibition sponsored by the American Tapestry Alliance where 48 pieces were selected from over 189 submitted by 98 tapestry artists from Canada, United States and seven other countries. Jane Sauer from Santa Fe, New Mexico was the juror. A catalog is available from the ATA website: www.americantapestryalliance.org . Twelve of the tapestry artists were able to attend the opening. Mary Lane, representing ATA, welcomed the guests and introduced the artists. Five artists gave short talks about their work. It was a wonderful afternoon of renewing old acquaintances and making new ones. The catalog is a great record of these extraordinary tapestries, but seeing the pieces in person is much better.